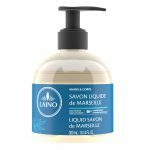 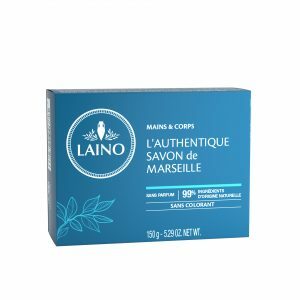 Laino has selected the best active agents for its Liquid Savon Marseille for sensitive skins. 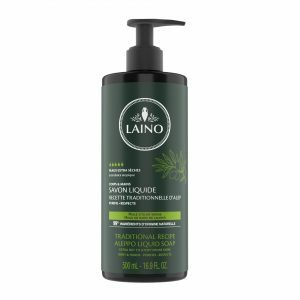 Thanks to its recipe made solely with vegetable oils, this fragrance-free hypoallergenic* soap free of artificial colours, gently cleanses the skin. 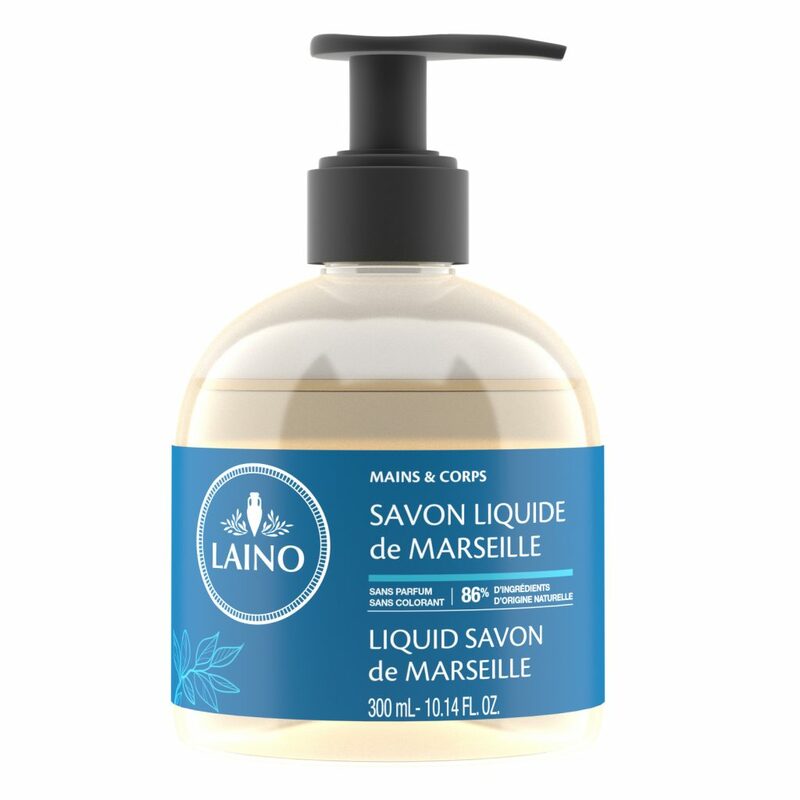 Lather on the skin and hands and then rinse well. 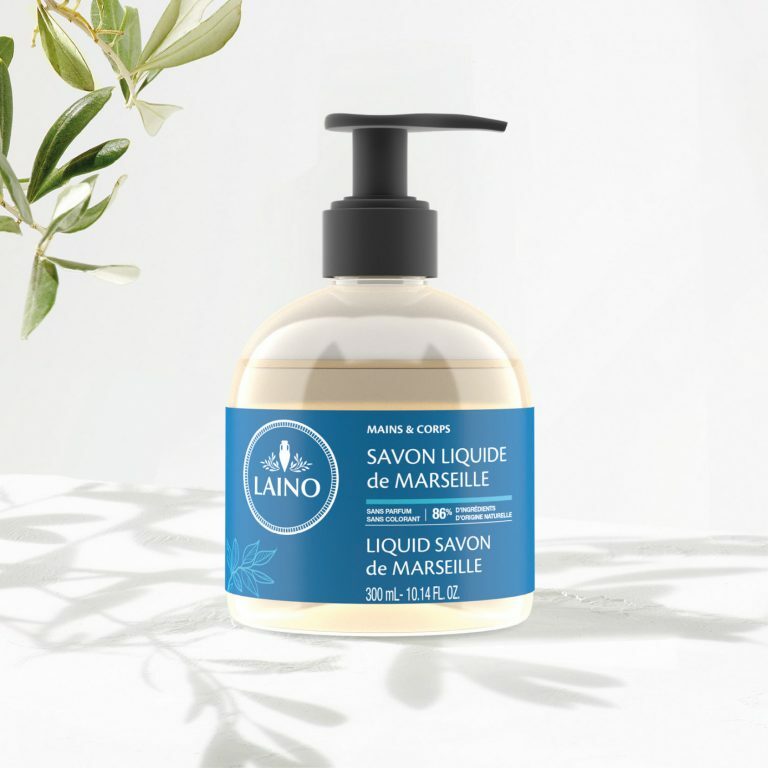 AQUA (WATER) / EAU, POTASSIUM COCOATE, POTASSIUM OLEATE, DECYL GLUCOSIDE, GLYCERIN, HYDROXYETHYLCELLULOSE, PRUNUS AMYGDALUS DULCIS (SWEET ALMOND) OIL, TETRASODIUM GLUTAMATE DIACETATE, COCO-GLUCOSIDE, GLYCERYL OLEATE, POTASSIUM HYDROXIDE, CITRIC ACID, TOCOPHEROL, HYDROGENATED PALM GLYCERIDES CITRATE.